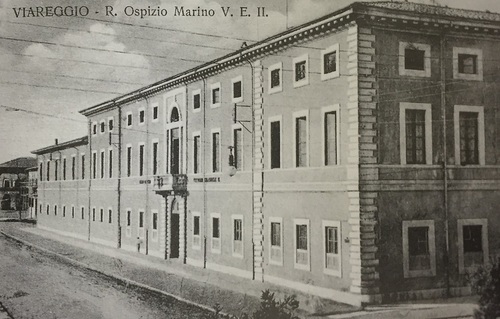 The Ospizio Marino di Firenze was a building located in Viareggio (Piazza Mazzini) in which children with tubercolosis were treated. 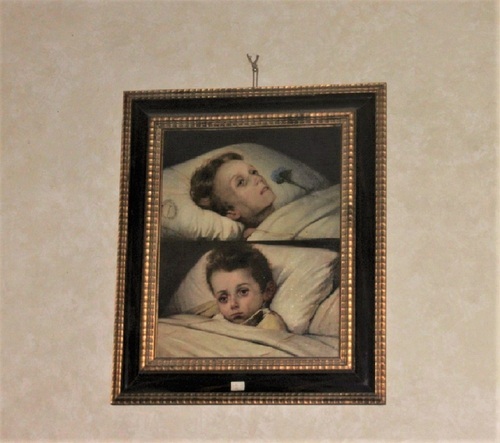 In 1852, in the main hospital of Santa Maria Nuova (Ospedale di Santa Maria Nuova) Giuseppe Barellai, florentine doctor, assisted to the slow and painful agonies that two children suffering from a severe form of tuberculosis had gone through. This had touched him so much that he invited his friend Stefano Ussi1 to fix that image on canvas. This painting, called "I Gobbini", can be seen in the ASP Montedomini2 (Florence). The canvas, denouncing the very poor living conditions of many children, became a symbol-image used to raise funds for the construction of marine hospices to cure children with tuberculosis. 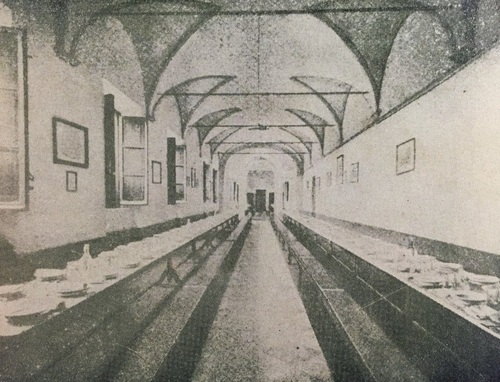 Doctor Barellai for this purpose founded in 1853 in Florence the Committee for Marine Hospices, initially hosted in some rooms of Bigallo Orphanage4 (Florence, Piazza del Duomo). 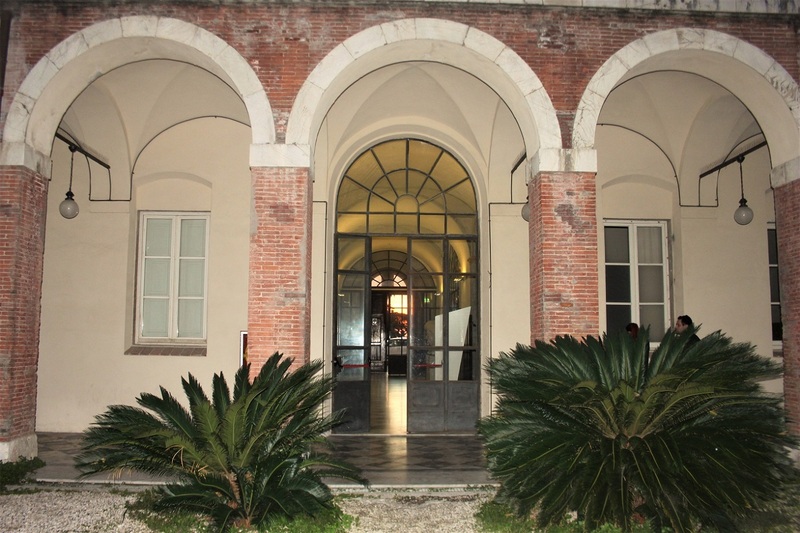 Viareggio was chosen as the place for the first Marine Hospice promoted by Giuseppe Barellai. The first stone of the Florence Hospice was laid on 14th October 1861 in Piazza Mazzini. The building, known as Palazzo delle Muse5, was finished in 1869. After having spent his life helping others, Giuseppe Barellai died during the night of 3th December 1884. In 1893, Palazzo delle Muse was enlarged to hold 500 beds. 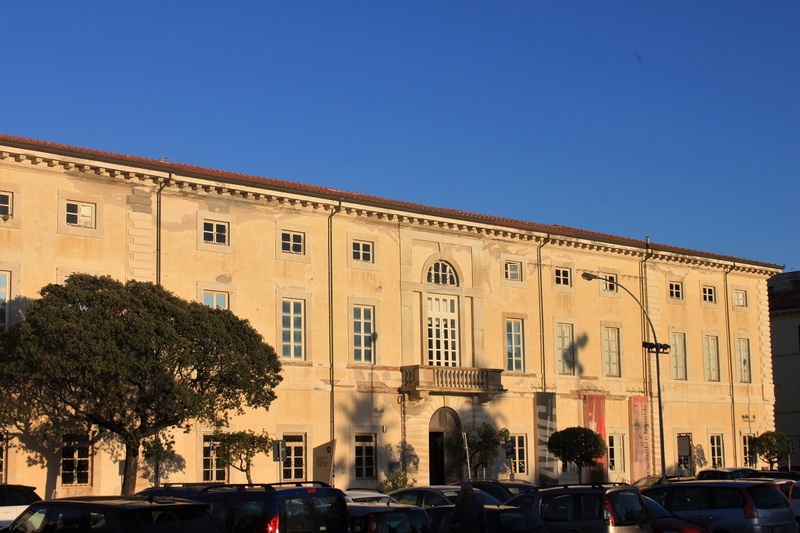 From 1912 this building, which up to then had only been open during the summer period then, according to Barellai’s original project, became a permanent structure open all year. 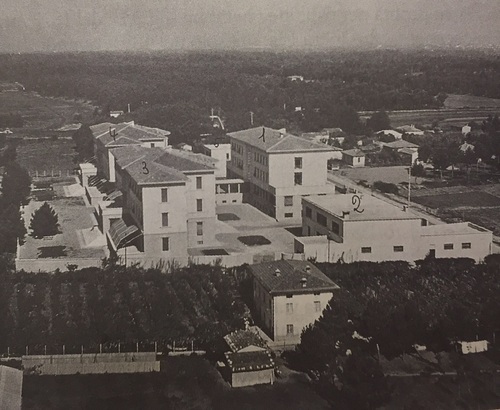 In 1939 the Ospizio Marino di Firenze moved to Cinquale, near Forte dei Marmi, where a big modern structure named after "Giuseppe Barellai" was built. This building was able to host 700 beds. «GIUSEPPE BARELLAI / MEDICO FIORENTINO (1813-1884) PRECURSORE DELLA CLIMATOTERAPIA / PIONIERE DELLA DIFESA DELLA STIRPE NELLA TUTELA DEL FANCIULLO / L'OPERA PIA SI ENUCLEÒ SULLA SUA INIZIATIVA / OTTANTASEI ANNI DI OCULATA AMMINISTRAZIONE E DI PUBBLICA BENEFICENZA / CHE LE COSTITUIRONO QUESTO PATRIMONIO / AMMONISCONO CHE DEVE ESSERE DIFESO E TUTELATO CONTRO CHIUNQUE / ED INSEGNANO A PROSEGUIRE8». In July 1944, this new building was mined and completely destroyed by the German army9. 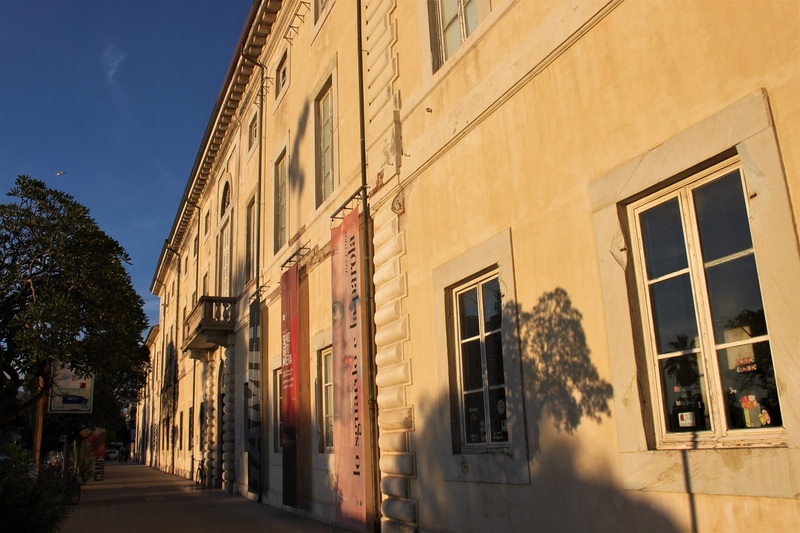 The archive of Ospizio Marino di Firenze can be found here. The photo of the structure in Cinquale was taken from "Giuseppe Barellai. Il dovere del medico, la situazione sanitaria dell'Ottocento e le nuove realtà epidemiologiche" by Francesco Carnevale and Esther Diana, Edizioni Polistampa, Firenze, 2014. 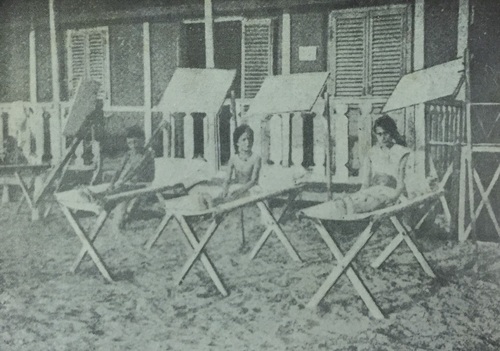 The old photos of the children on the beach and the old photos of Palazzo delle Muse were taken from "Il Palazzo delle Muse" by Carlo Gabrielli Rosi, Lucca, 1973. Giuseppe Barellai, Gli Ospizi Marini d'Italia, M. Cellini e C., Firenze 1867, pp. 170. Francesco Carnevale and Esther Diana, Giuseppe Barellai. Il dovere del medico, la situazione sanitaria dell'Ottocento e le nuove realtà epidemiologiche, Edizioni Polistampa, Firenze 2014, pp. 243. 1. Stefano Ussi (b.Florence, 2 settembre 1822 – d. Florence, 11 luglio 1901) was an italian painter specialized in creating historical paintings. His most famous painting is "La cacciata del duca d'Atene". 2. 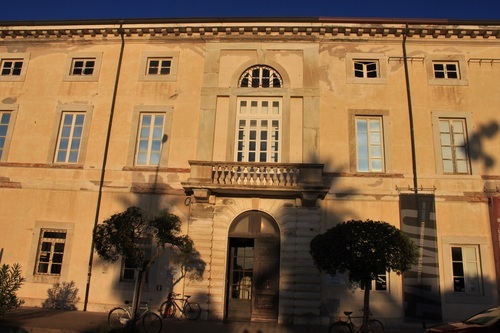 ASP Montedomini is a center for the care of the elderly. It is located in Via dei Malcontenti, 6, Florence. 3. Carnevale e Diana 2014, op. cit., pp. 61-64. 4. Nowadays it is hosts a Museum. The collection, reorganised in 1976, comprises both religious and historical works that offer us further evidence on the life of the Brotherhood between the 14th and 16th centuries. 5. Nowadays Palazzo delle Muse hosts Viareggio Public Library. 6. Barellai, 1867, op. cit., pp. 125-126. 7. Gabrielli Rosi 1973, op. cit., p.97. 8. Gabrielli Rosi 1973, op. cit., p. 85. 9. Gabrielli Rosi 1973, op. cit., p. 102.